I am about to change the format of my site and do a complete renovation. The changes should be complete around the beginning of September. I thought this would be a good time to discuss blogging, how to, and some other tidbits. I've been getting a lot of questions from people who are interested in starting a blog, so I've compiled a lot of your questions to hopefully giving answer to you blogging hopefuls. I'll be as transparent as I can. You will want to note that these are my experiences. I can't speak for anyone else. Here's a quick background: I've been writing this blog since October 2008. My first post is here and reflects the date. 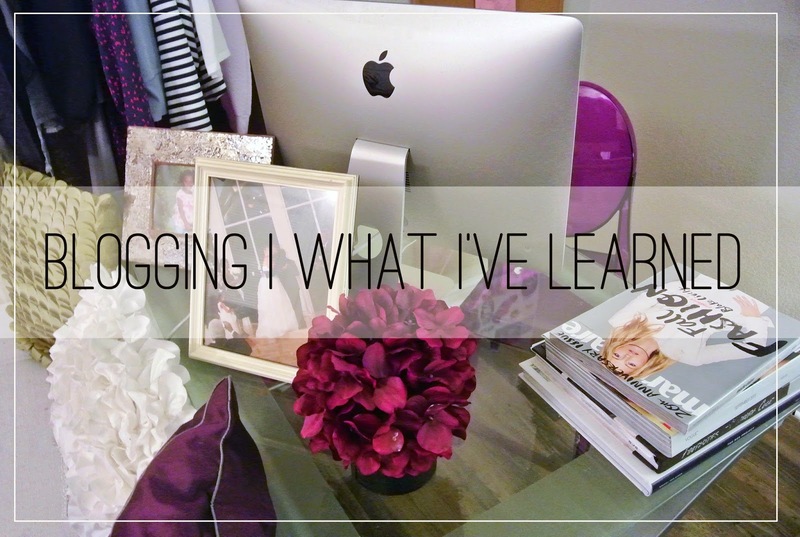 I started blogging for a few reasons. 1. I started a styling company in Atlanta and the blog was supposed to be a supportive of my styling site. If you've ever typed in www.garnerstyle.com that's what it leads to. That will be changed soon. 2. I wanted to provide complimentary style help for those in which a stylist wasn't in their budget. 3. I tore my ACL and I was laid up. I had previously been doing some plus size modeling very early in the what we know as plus size fashion. I knew that I would not be modeling anymore and still loved the business of plus size fashion, so this was a way to keep my foot in the business. When I first started, I had just completed my Masters of Public Administration and was working in the business of non-profit. I, in no way, thought of blogging as a business venture or a means of employment. I loved fashion and this was a way for me to express that love. Now let's get into these questions. I kind of answered this above, but in the very simple form you just pick a platform. A platform is where your blog is hosted or where it lives. I've been on Blogger since I started, but I'm finally (reluctantly) switching to Wordpress. These are the two main ones. There are others, but for the most part people choose to be on one or the other. The advantage to Blogger is that it's super simple to use. I've use Wordpress when I'm writing for other platforms and it's kind of a pain to use, but I do wish I would have started there first. Wordpress allows for more customization and better SEO (search engine optimization - I'm linking this word, because it's taken me a long time to use it or even understand it). I valued myself early - I didn't know I would be a full time blogger, but I also understood a few things early. 1. Brands don't reach out to you unless there is something that you have is valuable. This generally means influence. When they reach out they generally want some type of advertisement. Advertisement, in my opinion, deserves compensation. Compensation doesn't always mean money, but mama can't pay the rent with free clothes. HA! 2. Accepting freebies I felt would obligate me to that brand, especially in the beginning. I opted to buy most of my own clothing for the most part. In the first 3 - 4 years, 90% of my wardrobe was purchased by me. I'm friendly - I'm from the south, so of course I'm going to speak and talk to anyone that approaches me. Whatever perception of what people have of you from being online can be broken down just by having a friendly conversation. This also feeds into my social media. I'm pretty interactive with readers online. I think it's important support the people that support me. I may be a hermit, but I'm not an ogre. Focus on my strength, work on the things I'm not so good at - Personal style is my strength. I recognize it and embrace it. I try to do that to the best of my ability and I know it translates. I think that will always be my blog's draw. Things that I am not so good at are writing. I never set out to be one, but here I am. I really loathed social media in the beginning, but over time I've gotten really good at it. It was definitely not without a lot of practice. Note that blogs are always a work in progress. I'm still learning things. Niche Blogging - Plus size fashion is a niche and I can't deny that I a lot of my own personal success is because I'm in the niche of plus size fashion. 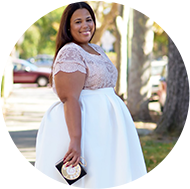 There has to be 1000s of fashion bloggers, but only maybe 100 or so plus size fashion blogs. See how that helps. I'm sure one day our niche will become over-saturated, but not today. LOL. I'm Passionate - This may be the most important element. I always say if I won the lottery tomorrow, I would still write this blog. I love what I do and the fact that I can help people just by getting dressed. Invest in a good camera - If you are a blogger that relies on photos, photo quality is extremely important. Build relationships - In my real life, I'm kind of a hermit. I'm a person can count their friends on one hand. I'm friendly in settings, but I'm kind of always on guard (I'm working on that - don't judge me). While making friends with everyone isn't necessary, having good relationships with people is. You never know how you may to help the next person out or how they might be able to help you. Know what you want - I wish I would have known this would be a business for me in the beginning. I would have treated it differently. Knowing what you want out of blogging early is the best advantage you can give yourself. This is something you can't quantify and I've heard it talked about a lot, but this is something that is extremely important to me. If you ever got to know me, you would know that I am true to Chastity, first and foremost. I write my blog just like that. Qualities that I possess are honesty (which gets me into trouble sometimes), lightheartedness, creativity, and realism. People can connect with you on different levels, it may be through photos, your writing, or through actual interaction, but it's who you are that makes you different from everyone else. I find inspiration from other blogs in a technical way, but my content and style are my own. Complimentary Clothing - In being true to myself and being authentic, I still purchase around 75% of my clothing. It's still so very important that my style from my brain and not manufactured. Well, I will say that I didn't get my first big check until 2011. I went full-time late 2012. I was living in Dallas and let's just say full time blogging income means something totally different in California, but that only encouraged me to work harder and that allowed me to make leaps and bounds in my own business. Patience - First off, when I started blogging I didn't know income was even an option. I blogged about fashion because I love it, but the road to gaining a sustainable income can be long. Traffic/Numbers - Think of your blogging website like a tv channel. The more viewers you have the more you can make from advertising. Social Media is a big part of it and I have treated social media just like it's apart of my blog. Know your worth - This is something I like to have open conversation about. Because I make my living as a blogger I'm a huge advocate for bloggers being paid what they are worth. Don't know your worth? Reach out to me in private. I don't think money should be discussed on large forums, but if you have a questions about pricing I'm more than willing to help you with what I know and give suggestions. Keep in mind that payment isn't always monetary. If it is some sort of exchange make sure you feel that you are still being compensated fairly. Ask yourself, how is this mutually beneficial? Diversify - I do a lot of different things to build my monthly income. I contribute to other sites, consult, and style. On the back end, I use affiliate links (which is stated on my blog here), ads, and develop sponsored content. I used of the theory of "death by a thousand cuts," I reversed it and used it in a profitable way to build my own business. The Quiet Jobs - I've always thought of myself as a quiet riot. I don't talk about everything that I am blessed with doing, not because I'm not appreciative, but just because it's not in my nature. With that being said, I was able to sustain myself early on by taking jobs that weren't accompanied with glamour. I took a lot of writing and internet styling jobs that I never promoted or talked about. They weren't the ones that everyone was talking about, but for me blogging had become a business and the notoriety wasn't my objective. Building a business that I both loved and supported that could support me back was my objective. How do you get approached by brands? If the traffic is there, they will come. LOL. I've never been good at reaching out to brands, but I've been fortunate enough to where they reach out to me. In the beginning, you definitely focus on building stellar content. For me, I started getting brands contacting me around 30k/month views. Internet Fame - Let's just say this, internet fame (even on the small level that bloggers have) is not for the faint of heart. I will say that I have a large audience, but this year I had a lot of growth and with that growth came a lot of negativity. There is a thin line between criticism and just being plain rude. Now, when I started this I had no idea I would get to this particular place, but at this point I have to accept with the good with the bad. I love what I do and wouldn't change it. You definitely need to know yourself and really evaluate if you can handle an abundance of people's opinions of you. It won't always be good. On the flip side, I think the plus size community has some of the more positive and supportive commentary. I rarely see people cursing, attacking other people, and such. Not to say it doesn't happen, but be aware that you are putting yourself out there for the world to like...or not like. You also want to know what you are/aren't going to deal with. For me, you are not going to curse at me or each other/insult me/others and still be allowed to comment freely on my channels. Monetary Investment - I spend money left and right on this blog. I pay for a photographer, technical equipment (computers, cameras, phones, tablets, backup cameras, clothing, travel, beauty, etc). It's an investment, so you really want to know is this a business venture or is this a hobby before you start shelling out cash. Everybody doesn't go full time - This is just the hard truth. Everyone that does this isn't able to go full time. In the same breath, going full time doesn't have to be your goal. Set your goals according to how you feel and not what you think everyone else is doing. I learned a long time ago not to compare myself to other people in blogging and just in life in general. I just work lane Chastity and for me, lane Chastity has been pretty awesome. I've had a few people reach out to me to be their mentor. Let's just say I'm blessed to be crazy busy and as I may not be able to commit to one on one time, I am able to mentor through just answering a question or two through email or message. I think a lot of you know me to be pretty responsive, but make sure you do your research first. I think people are so much more willing to help someone who has done their legwork and then come up with questions that are specific to that person and can't be answered through a simple google search. I hope this helps you in your blogging or potential blogging journey.